Geraint Thomas supplied Team Sky with their sixth Criterium du Dauphine success in the past eight years on Sunday. 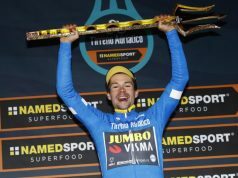 Thomas held off Adam Yates, winner of the concluding seventh stage, with Romain Bardet taking third in the overall standings. Thomas follows the footsteps of Bradley Wiggins, who won the race twice, and three-time winner Chris Froome. He took the honours by 1min from Yates with Bardet 1min 47sec back in this tune-up for the Tour de France which gets under way on July 7. 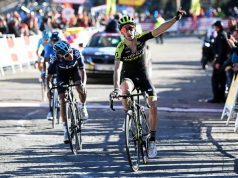 Adam Yates pulled clear of Daniel Navarro (Cofidis) 50m from the line at the finish to the 136km closing day’s ride to the ski resort of Le Bettex. As for Thomas, his final day was blighted by two punctures. 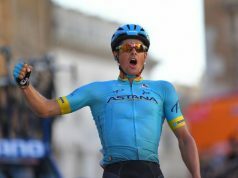 After catching up with the main leaders with 30km remaining, he crossed the line a handful of seconds off the pace without ever being in danger of losing possession of the yellow jersey. 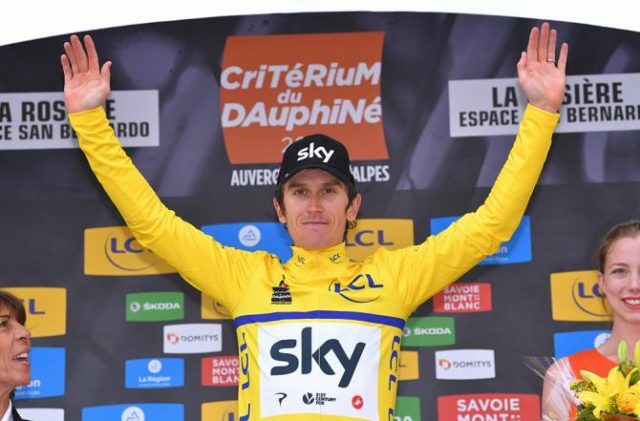 Thomas would normally expect to be a domestique for four-time champion Froome at the Tour but victory at the Criterium against potential Tour contenders, coupled with the uncertainty surrounding Froome’s adverse analytical finding from a drug test last year, means the Welshman could yet be riding for his own glory next month. 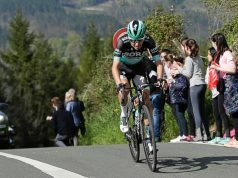 “I was always thinking of the next stage, the next climb and it’s an amazing feeling [to win] and I think it will really start to sink in tonight. It’s a massive race and it’s an incredible feeling”, said Thomas.